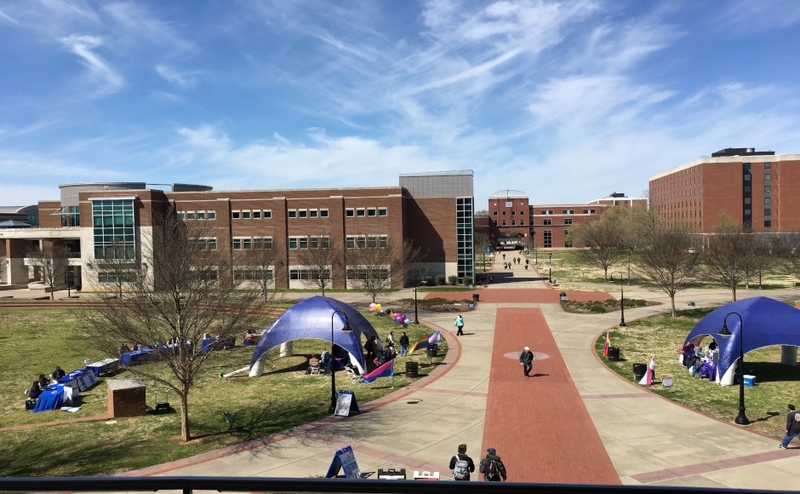 The Middle Tennessee Blue Raiders (12-10, 2-2) hosted their Conference USA home opener on Friday, welcoming the Charlotte 49ers (13-8. 3-1) to Reese Smith Jr. Field. 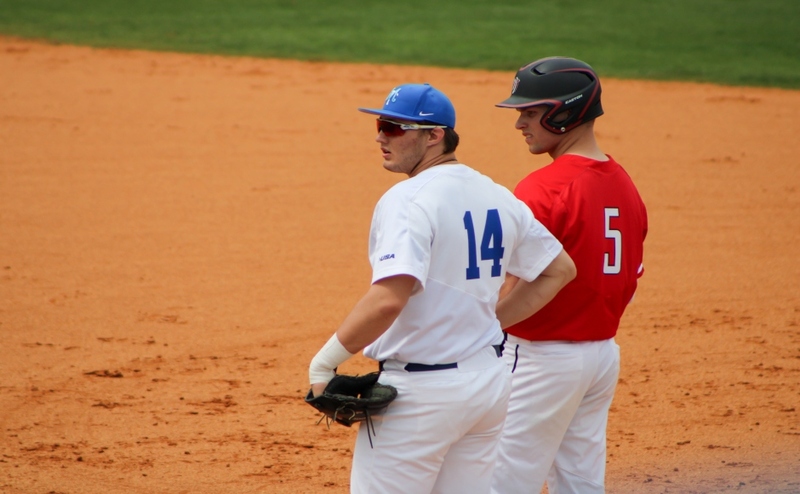 In a game that featured two dominant lefties, the 49ers were the ones that mustered the offense needed to win, as the Blue Raiders fell by a final score of 4-0. 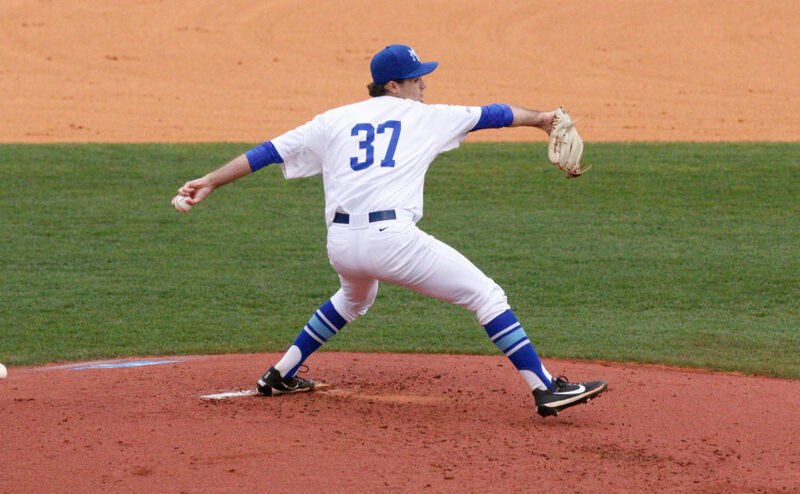 Senior Jake Wyrick was on the mound for Middle Tennessee, and he put together one of his best starts of the young conference season. 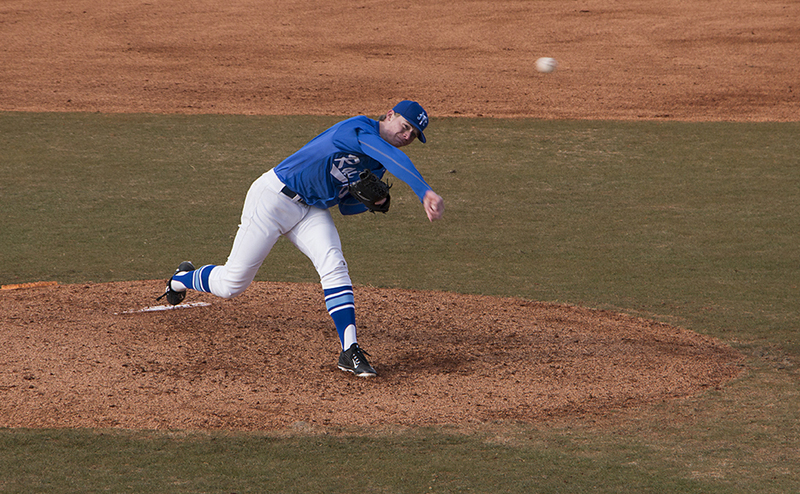 Overall, Wyrick threw six innings of two-run (one earned) ball with seven strikeouts. Even better, he controlled his pitches more than normal and only walked two batters. 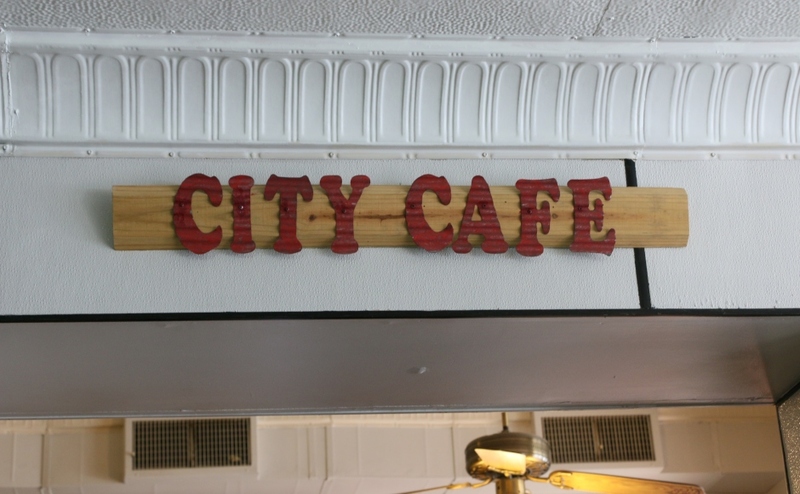 The man opposite him was even better however, as 49er senior Josh Maciejewski threw 7.1 innings of shutout baseball in a winning effort for Charlotte. He struck out seven of his own, and only allowed six hits. 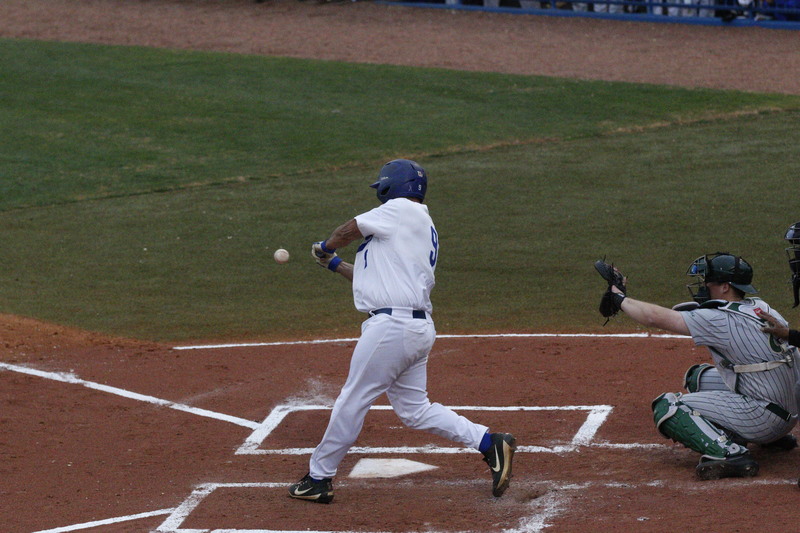 The Blue Raiders couldn’t manage many scoring opportunities in this one, but they did have a big chance in the eighth inning. 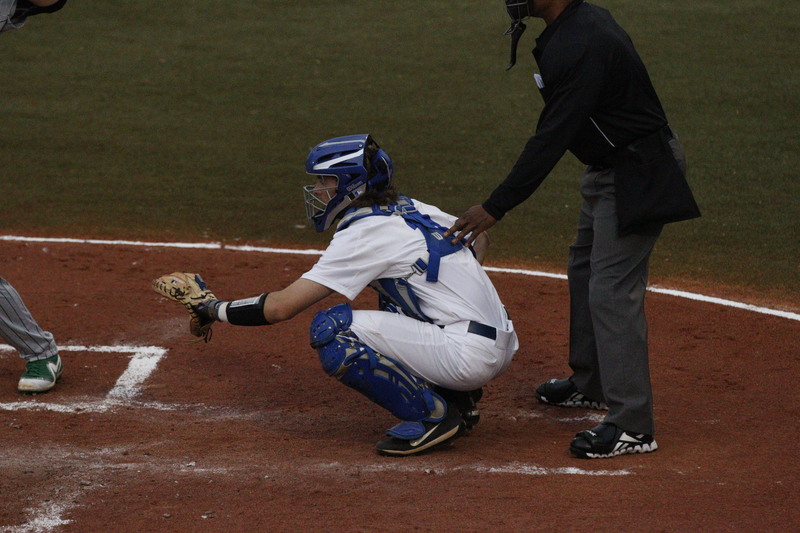 With the bases loaded and two outs, junior Blake Benefield approached the plate with a chance to give the home crowd something to cheer about. 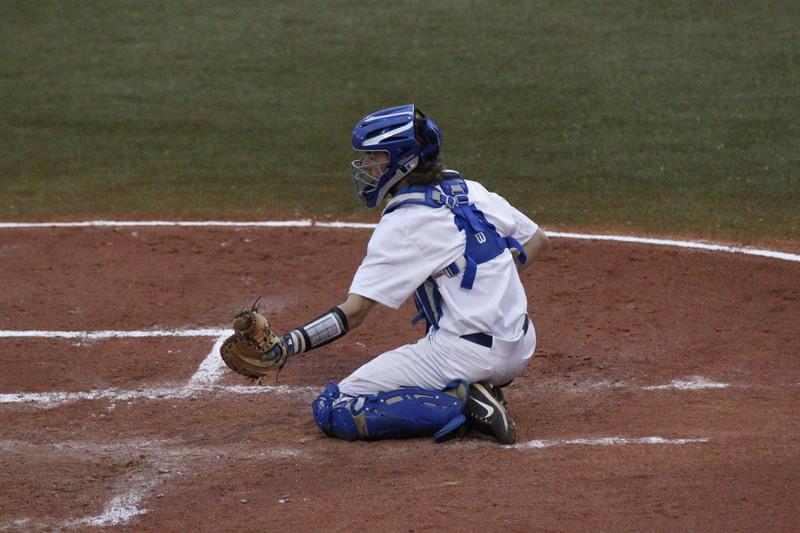 It was not to be however, as he popped a 3-0 pitch up and into the glove of the shortstop to end the inning. 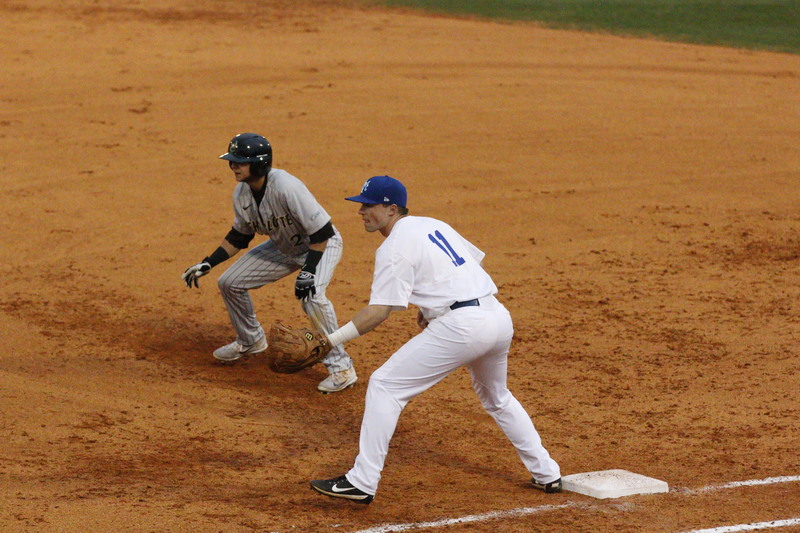 As has been the norm in the current season, Middle Tennessee just couldn’t score any runs against a good left-handed pitcher. 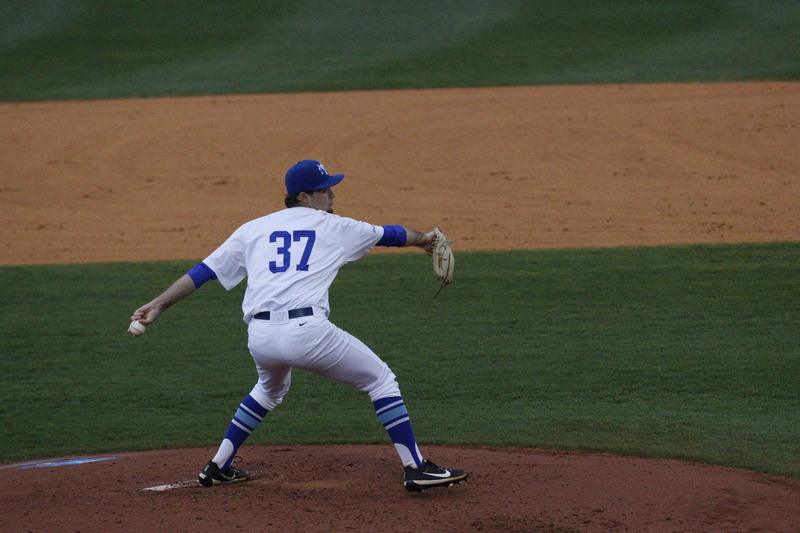 While he has struggled with command for most of the season, the senior left managed to keep MTSU in this game by giving them six good innings in which he only gave up one earned run. A better sign for the team was that he only walked two batters, limiting the amount of scoring chances Charlotte accumulated. One key difference in this appearance from Wyrick was his approach to 0-2 counts in his favor, as he managed to make more competitive pitches in his outing. 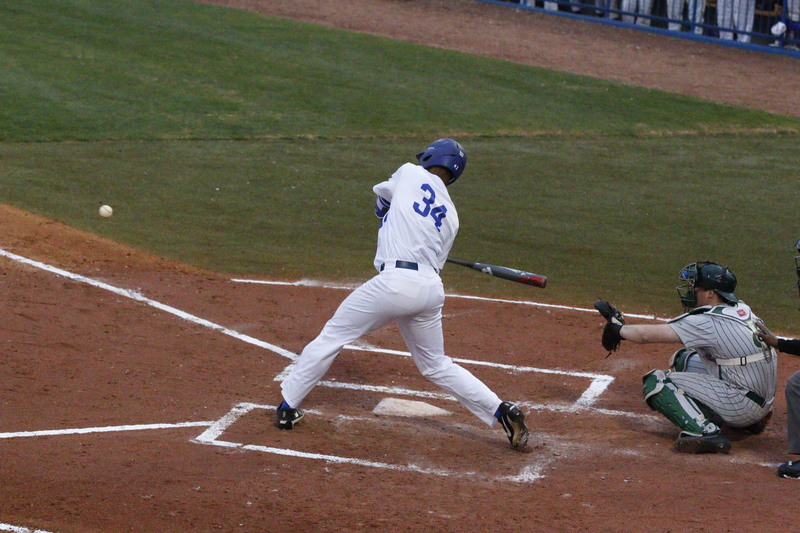 If Wyrick is able to re-create this outing, Middle Tennessee will be in a much better position come C-USA Tournament time. 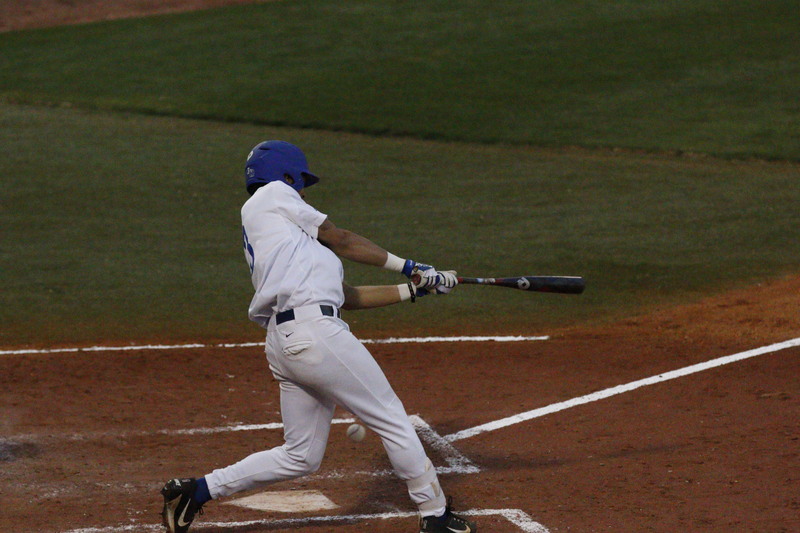 With two outs and the bases loaded in the eighth inning, Benefield stepped to the dish with a chance to swing all the momentum into Middle’s favor. 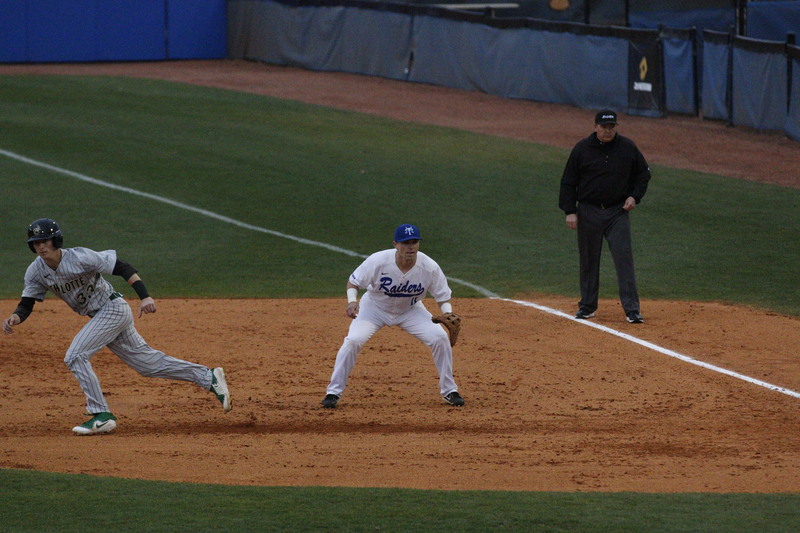 The Murfreesboro native didn’t deliver however, and he made the final out that ultimately solidified the Blue Raiders’ loss. 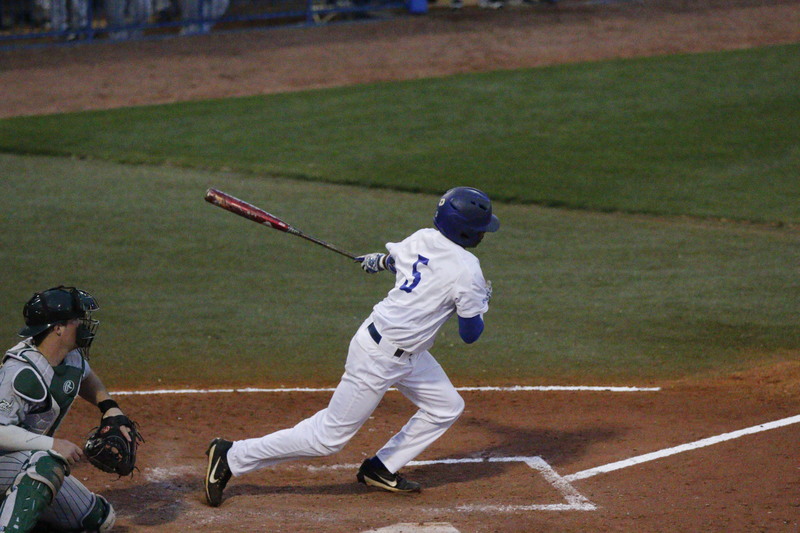 Charlotte tacked on two more runs in the ninth inning, creating a hold that Middle Tennessee simply couldn’t dig out of. 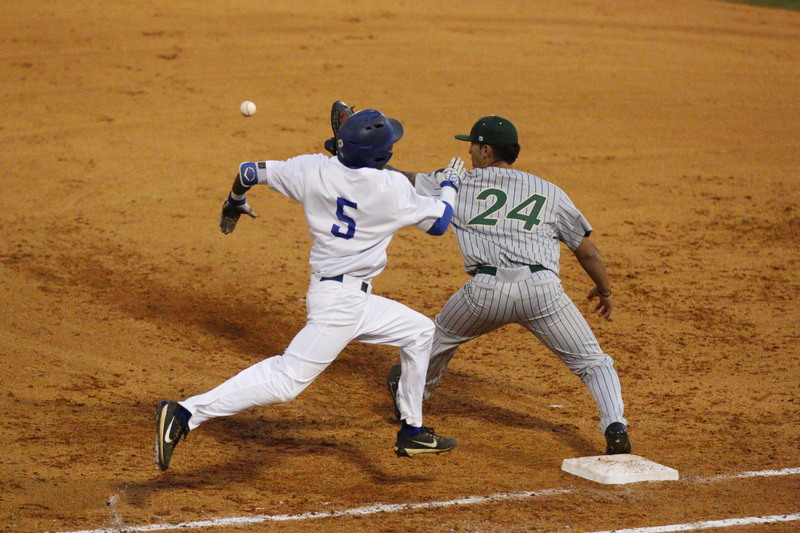 In that decisive inning, junior LA Woodard had a couple chances where he potentially could’ve taken an extra base or scored, but due a misread ball hit down the right field line, he only made it to third. Woodard was eventually stranded there by Benefield. 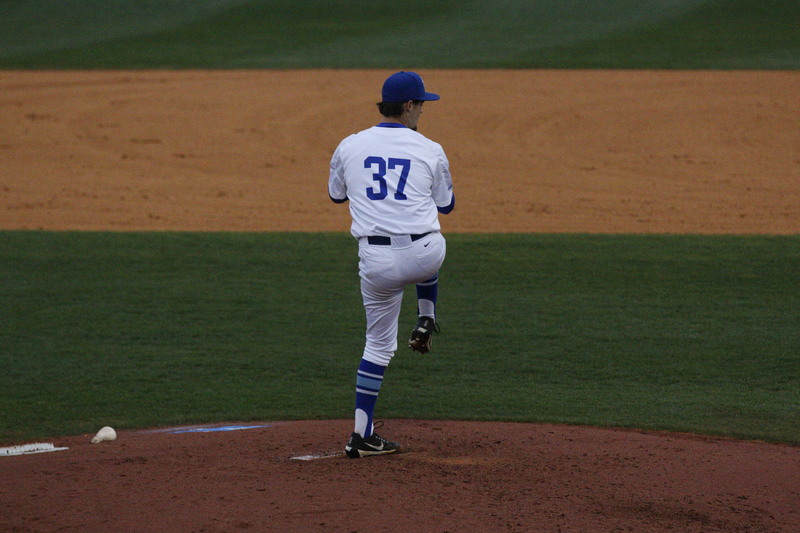 The Blue Raiders will be back in action on Saturday afternoon to play the second of this three-game set against Charlotte at 2 p.m.